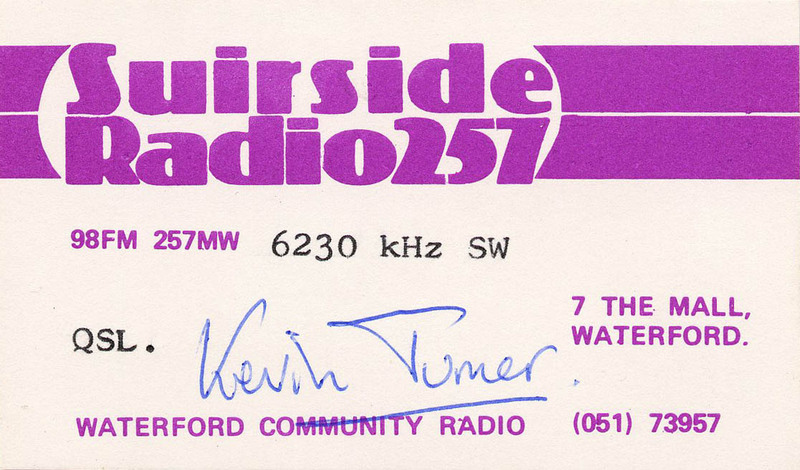 SUIRSIDE RADIO: This was a radio station that I returned to a few times on my travels, mainly due to old short wave enthusiast pals working there on a full time basis. Suirside used to be well heard in the UK and beyond on the SW service via the relay from the former little ABC International transmitter in Steve Silby's livingroom!! 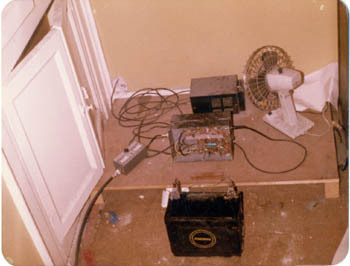 It had earlier been kept at HQ in 7 The Mall. 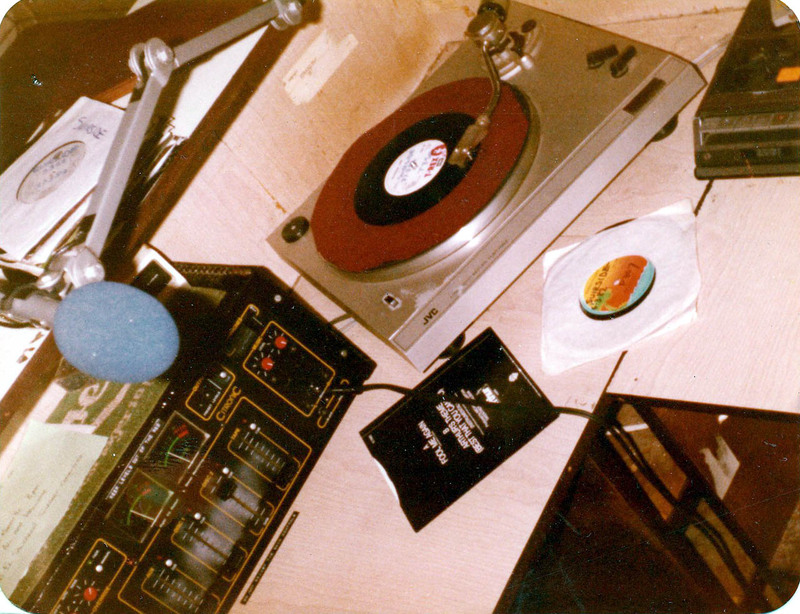 Richard Staines, left, and Dave Hunt, right, on Suirside Radio, at the very end of March 1982. 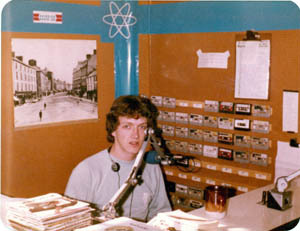 A nice old image of The Mall is seen on the wall behind them, and on their left, are the cassettes with the ads and jingles. In 2013, these two fellows are still in the Waterford area, and both are still very much into radio!! 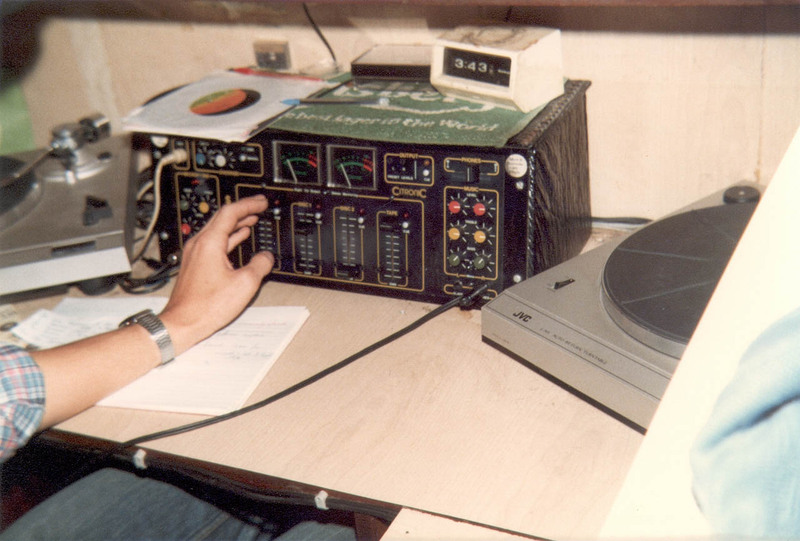 Richard / Steve Silby can still be heard on Radio Caroline in 2013. 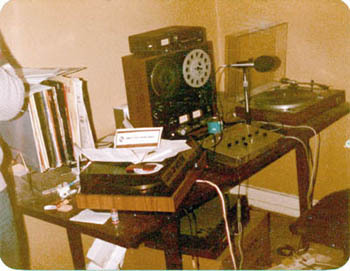 The main studio at Suirside. 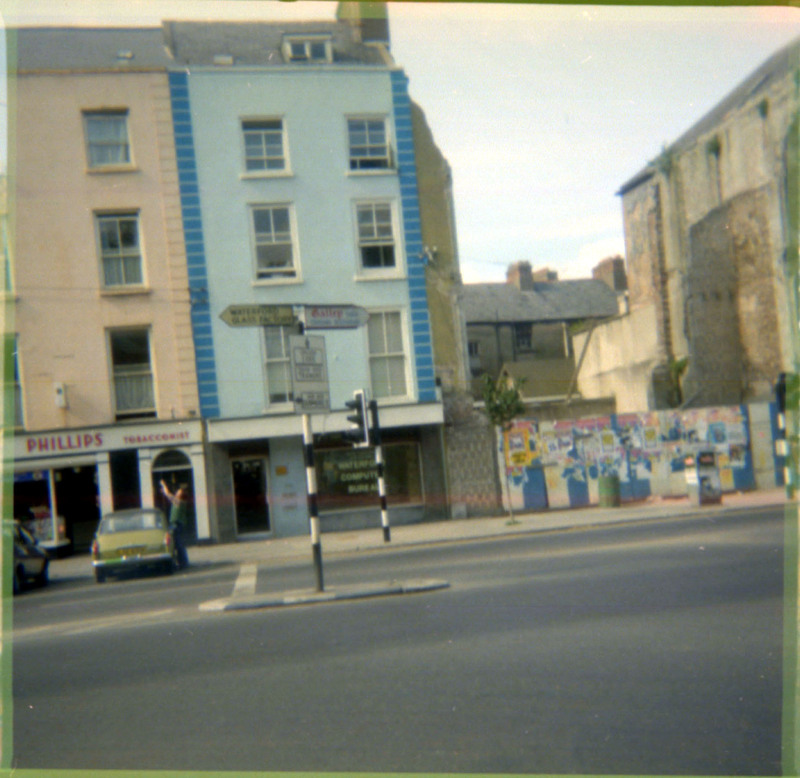 These are separate images taken in 1982 with a very small 110 cartridge camera. 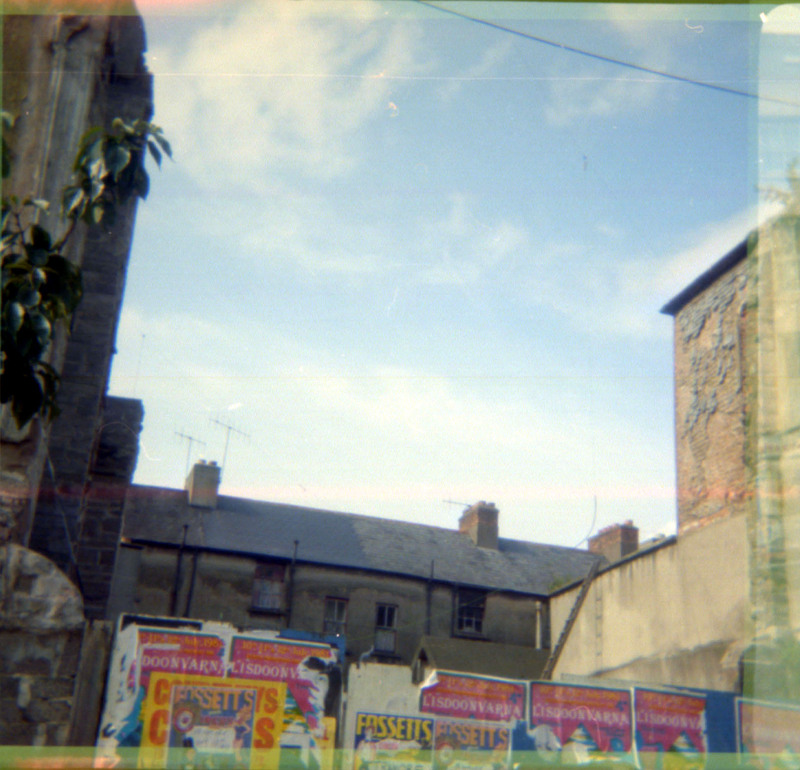 This was an attempt to take joined up photos, results below. 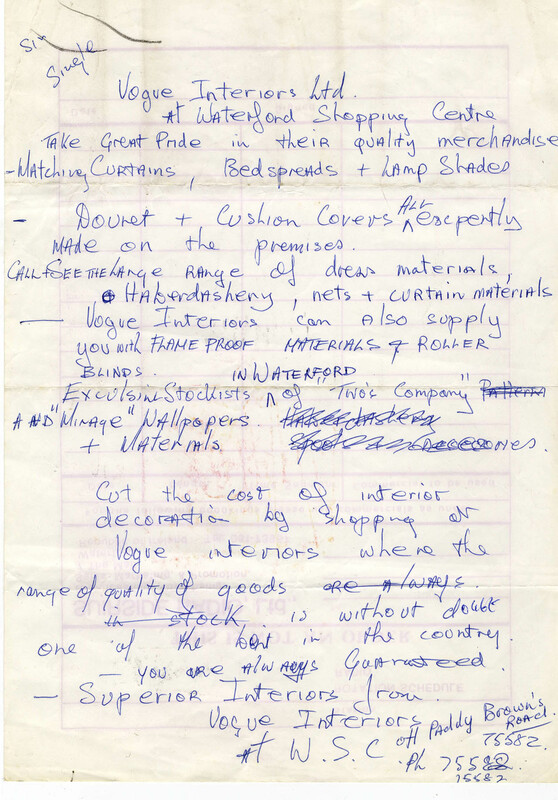 Some may wish to examine the originals. The main studio at Suirside. OK so maybe I am not quite so good at the joining up of images as NASA!! 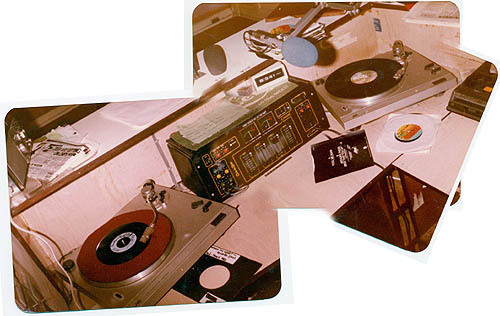 I wonder how easy it was to get used to using a vertical mixing desk?? 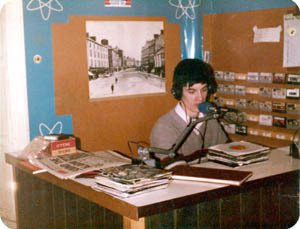 The main studio at Suirside in August 1981, and right, production studio March 1982. 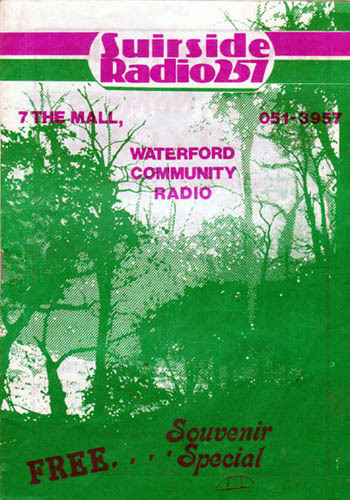 The building at 7 The Mall, Waterford, was the HQ of Suirside Radio in 1981, 82 and 83 during my various visits. 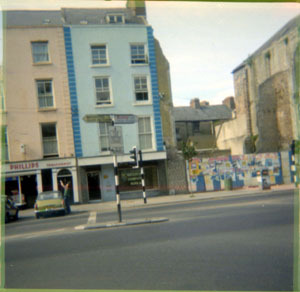 The missing building / site to the right of the blue couloured studio building was where the antennas were strung up. 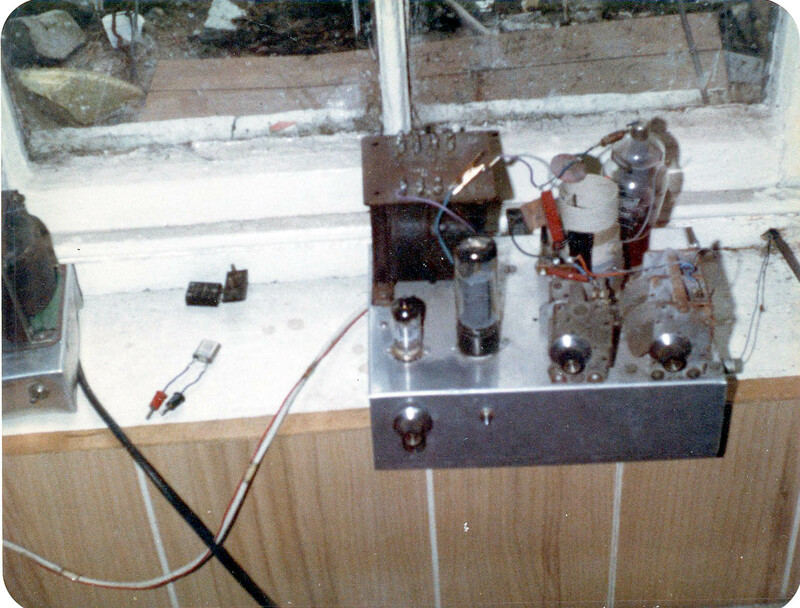 The SW signal also came from 7 The Mall in 1981, although it may have been in Steve Silby's window sill by March 82, and certainly by 1983. I often wondered what that street is like now, as I haven't been to Waterford since 1986! But in these days of GOOGLE STREET VIEW, it is so easy to take a trip down THE MALL now, see above. 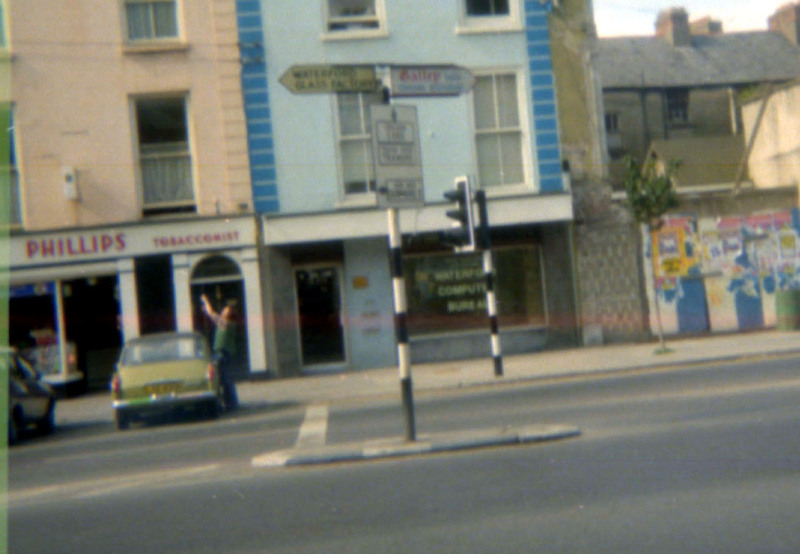 In the fuzz, Kevin Turner is seen doing something at the old car (Morris?) 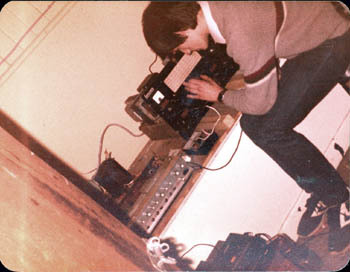 he had back then, close up below. 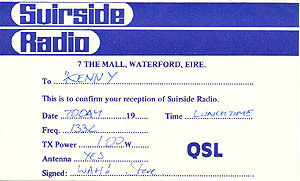 Left: QSL sheet sent to Stuart from Suirside Radio, 1981, which verifies the date of the frequency change to 227m, from 257m as 2nd July 1981. 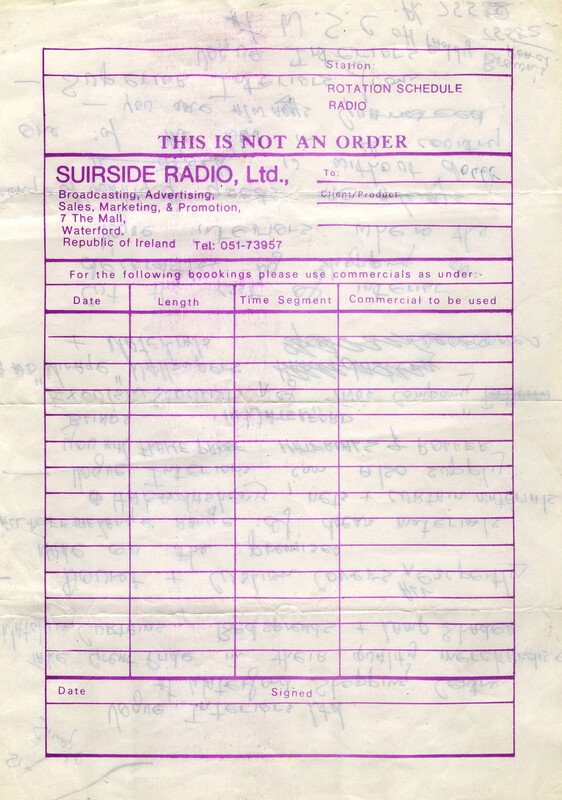 Right: A QSL sheet from a short wave transmission, made via the Suirside Radio transmitter in 1981. 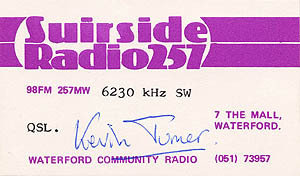 The header suggests that Suirside may have been on 257m around this time. 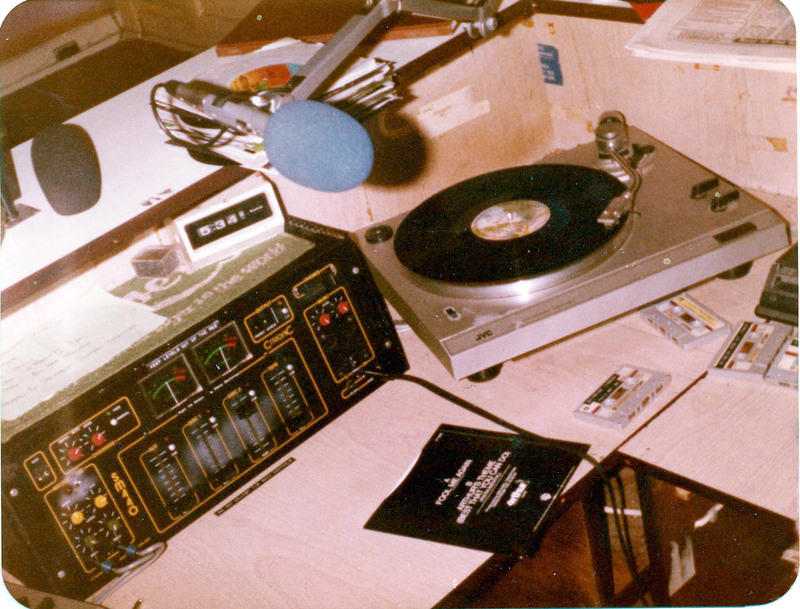 I wonder if the owner Mick Daly was aware of these broadcasts? 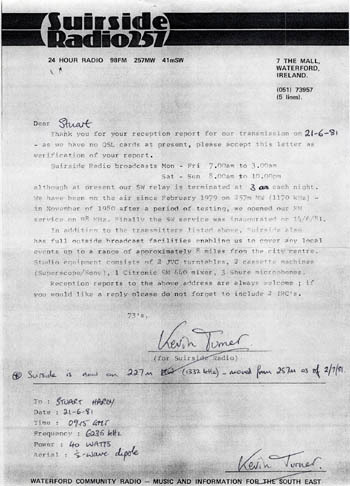 Only months after this SW ABC was on the air, another ABC was being born in nearby Tramore, completely unconnected!! 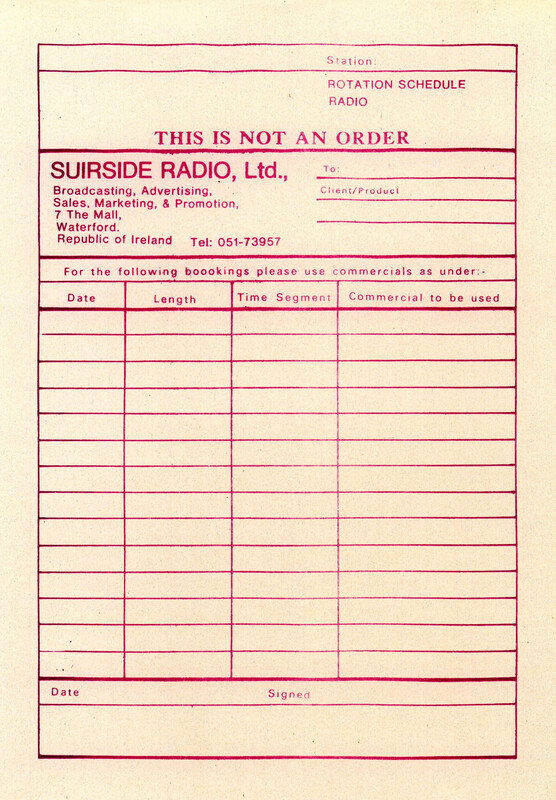 Suirside Radio summer 1981 booklet, which was seen by us during a visit to the station in August of that year, but we failed to bring any back home!! This was on our wanted list for 31 years. I remember asking Steve Silby about these at the Radio Day in Amsterdam a few years ago, but he never knew of any kicking around!! 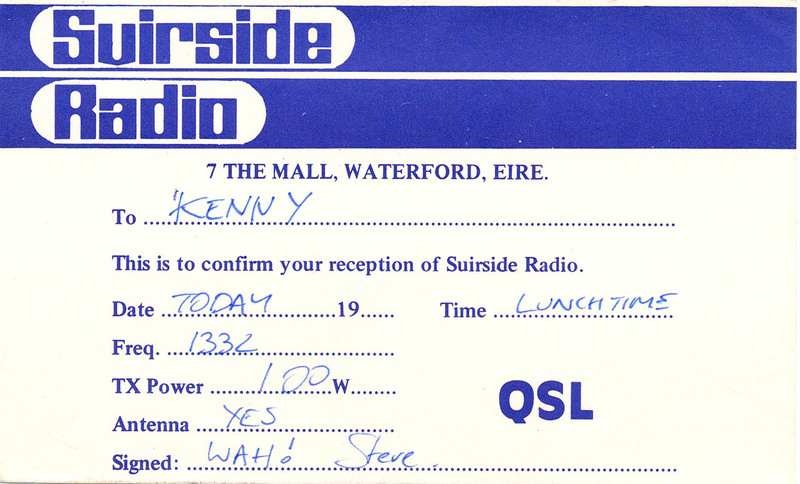 Well done, and bravo to Colin Kennedy for hoarding the above for all these years. 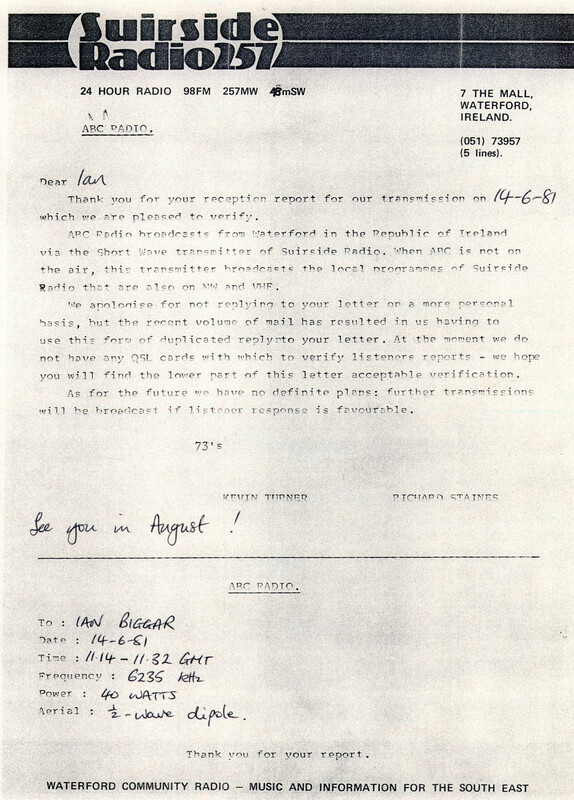 The initial scans were updated slightly where the first efforts were missing some text. Click the image above for a 13 meg pdf of the complete booklet, courtesy of Colin Kennedy. 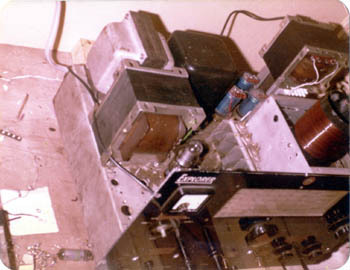 The Suirside Radio FM transmitter, pictured in 1982, with the car battery to power the oscilator stage to give less humm. 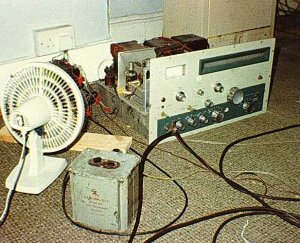 Suirside Radio 257 MW transmitter, courtesy of Steve Silby (left), and right, Andy adjusting the VFO on the 227m MW rig!! The VFO MW transmitter for 1332, had to be kept at a constant temperature, for stability!! 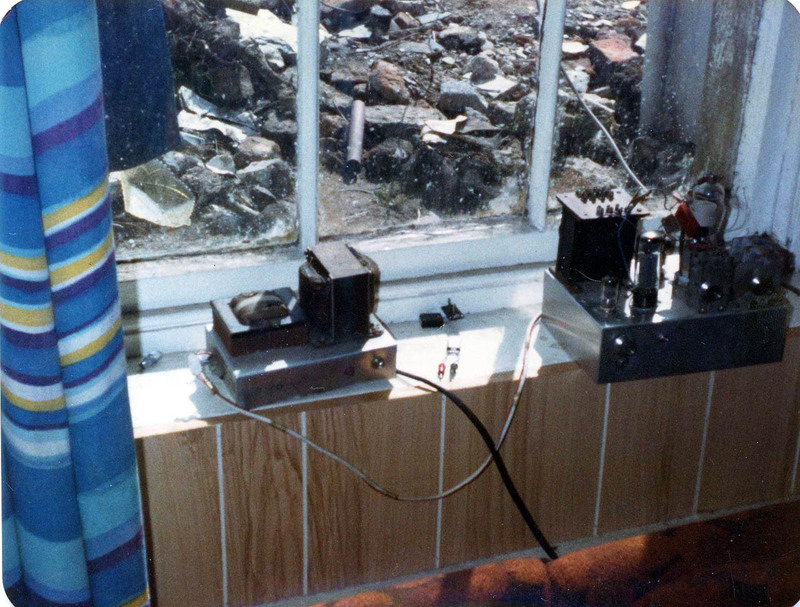 A couple of other shots of the 227m VFO transmitter are below. The SW transmitter used by Suriside Radio, photographed in 1983. 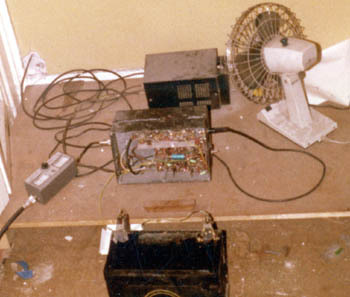 It looks like a self osc 807, and ecc82/3 and el34 in modulation stage. 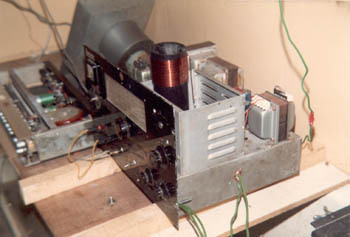 This transmitter was widely heard as first of all ABC International around 1980, then ABC from Waterford in 1981, both on 48m. QSOing took place as CM1 or ABC. 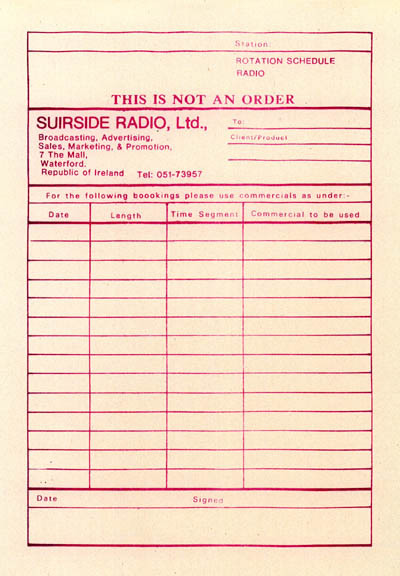 Suirside was relayed for some time, and Radio Telstar from Waterford also used the rig. ABC Tramore/ Waterford was aired on SW with the same rig, until it was sold on to Jolly Roger Radio. As mentioned above, in 1981 during our visit, the rig was at 7 The Mall. 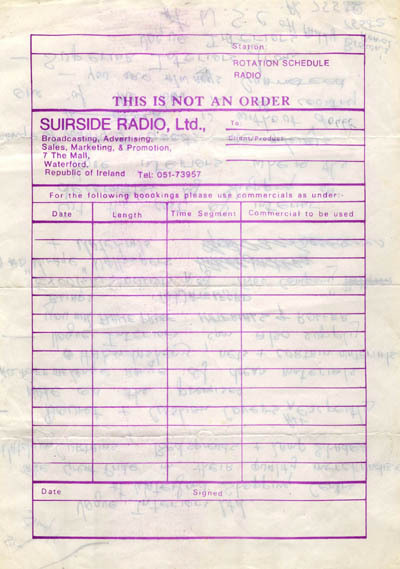 Suirside rotation sheet, picked up from the production studio floor in 1982!! 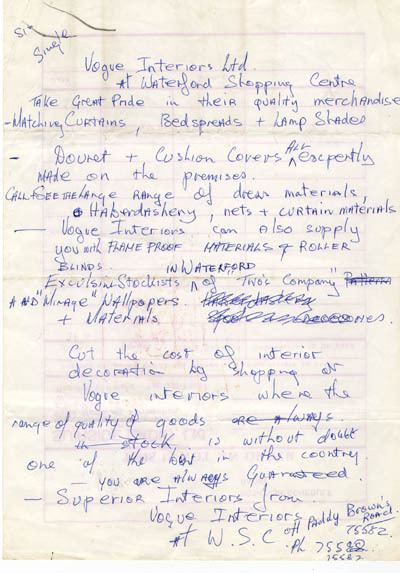 On the reverse is the script of one of the ads, scribbled out, and ready to read! 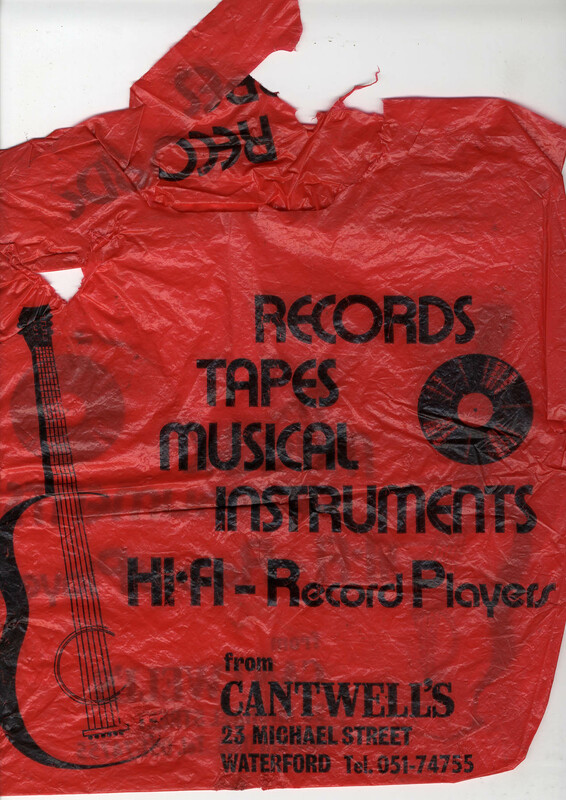 Below is a false coloured version which tries not to show the text coming through from the back. 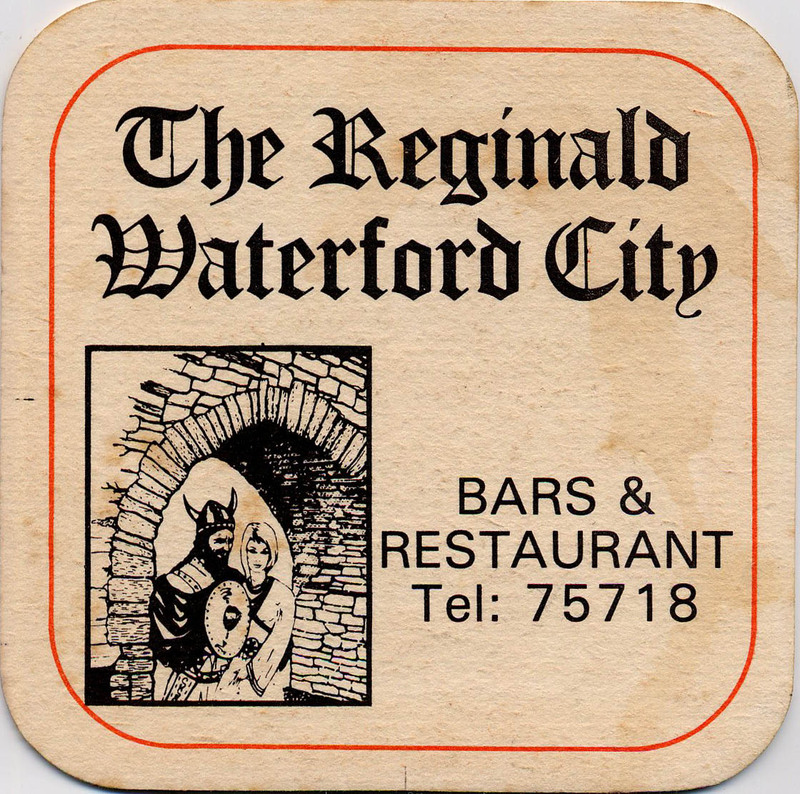 The Reginald pub in Waterford was close by 7 The Mall, where we had a pint in 1981. It is so long ago, that I can hardly picture the place. Was it near the round tower? Was it in the round tower?? I have hoarded the beer mat all these years. 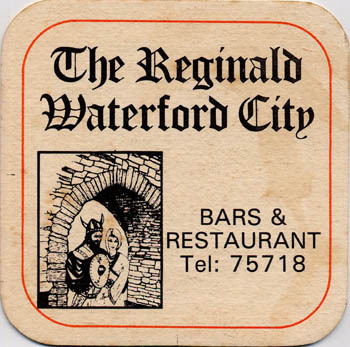 I wonder how many others kept a beer mat from THE REGINALD, Waterford. The plastic carrier a Bagatelle record came in that I bought in Waterford in 1982. 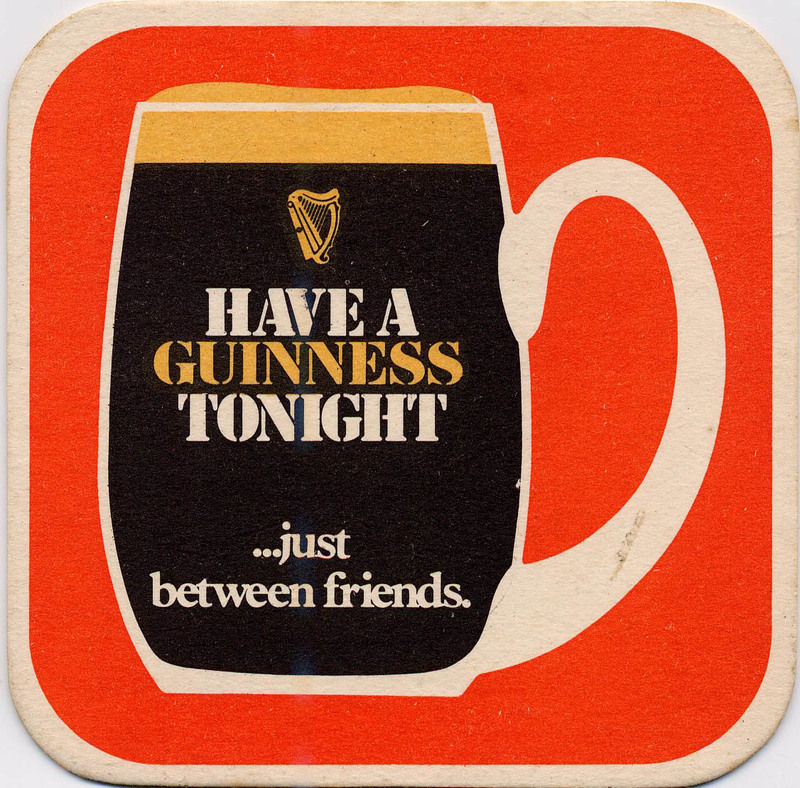 The one with Summer in Dublin!! Such a hoarder!! Or come to think on it, was it the Freddie White's album with "Tenderness on the Block" on it (Do You Do). 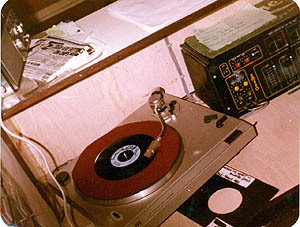 That song was played to death on the Irish pirates, but never received any airplay in the UK that I was aware of. Not that I listened to UK radio in those days. 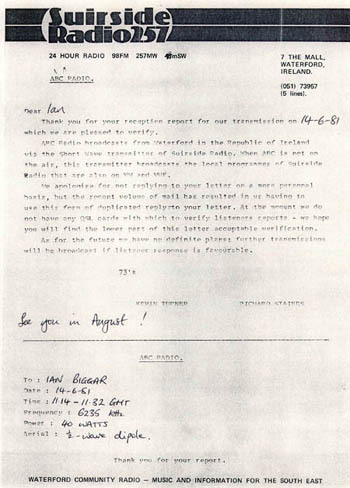 I may have sent to Gerard in Dublin for the Bagatelle LP. Gees the memory cells ain't what they used to be.